When you’re picking a heating oil company to take care of your home heating and comfort needs, it’s not a decision that should be taken lightly. Use our guide to help you be aware of what you should look for in an oil company AND learn what kind of a bargain you might be getting if you choose a discount oil company. • Are technicians and customer service available after hours, on weekends or holidays or exactly when and where you need them? • Do they have a pricing plan? Just one? Or multiple options to suit your budget? • Do they offer a monthly payment plan? • Do they offer comprehensive service plans with options to suit your budget? 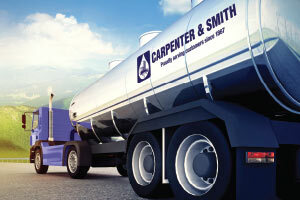 • Have they ever struggled with oil supply and delivery issues during heavy use/busy seasons? • Does a third-party company take care of their services and repairs? Or do they manage all that themselves? • Are they local and understand your seasonal heating needs? • 24/7 service and support, in any weather. • Monthly budget payment plans to help you manage your annual energy costs all year round. • Multiple service plan options to suit your particular needs. • You can rely on them to heat your home with little or no risk of running out of oil. • A local team of technicians, ready to handle any services and repairs 24/7, exactly when you need them! • Automatic delivery and call for delivery options – you choose what’s best for you! Don’t let low prices blind you into making a bad choice. Make sure that you get the heating oil company that provides the best value for your home comfort needs. Contact us today for more information about our comprehensive heating oil services.